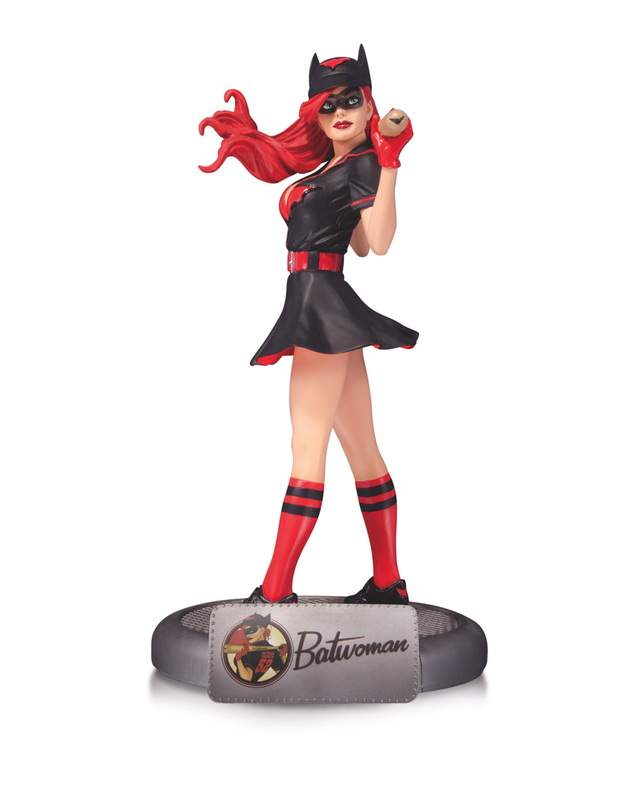 Batwoman comes to the DC Comics Bombshells line of statues. Ready to play, Kate Kane — alias Batwoman holds her bat over her shoulders, awaiting her turn at bat. Looking out at the playing field from under her bat cap, her hair and skirt blow in the wind — she's ready to face all opponents! This piece is based on the art of Robert Valley and sculpted by Jonathan Matthews and measures approximately 10.5" Tall . It is a limited edition of 5,200.